Help! Which Crown Should I Get? I need to get a dental crown on a tooth. My dentist threw all these options at me. While he did explain everything, it was all so fast I can’t remember. I told him I’d let him know this week. I tried to do some research but everything is so confusing. Help! Sometimes dentists think you can understand everything in 5 minutes that they studied all the way through dental school. Sounds easy, right? It’s good that you’re doing some research. It’s important to go into these type of decisions informed. One thing to be aware of is that you should always feel free to tell your dentist to slow down and to repeat himself if necessary. You should never feel rushed. To help, I’ll go over the three most common types of dental crowns. The first has been in place for many years and it’s been a staple in the dental diet. 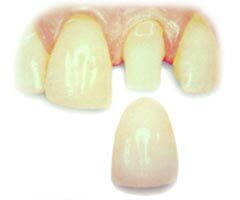 These are conventional crowns, also known as porcelain-fused-to-metal crowns. As their name implies, these have porcelain on top and a metal base underneath. These are best used for back teeth because of the amount of biting force we use with our back teeth. If you have a metal allergy, there are metal-free options. The second type is all-porcelain crowns. These have porcelain all the way through, even as it’s underside. These are especially useful for front teeth because they look more natural than their metal-based counterparts. With front teeth, there is a completely different biting force and these can withstand the pressure. 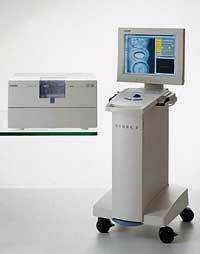 Thirdly, there are CEREC crowns. These are also all-porcelain. The biggest differences are they are milled by machine using a single block of porcelain. As a result, they’re able to be done in just one appointment. 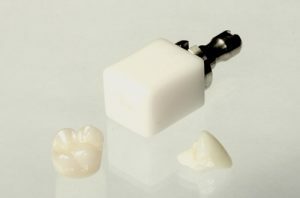 Be aware, unless you have a highly skilled cosmetic dentist, these won’t have the same subtleties that the non-machine milled crowns will have which are made from several different blocks that have different shades. There’s really not a horrible choice, though I never recommend metal-based crowns on front teeth. You won’t like the results. I hope this helps. This blog is brought to you by Lafayette Dentist, Dr. Mike Malone.